Stephen Pizzello, Editor-in-Chief and Publisher of American Cinematographer, has once again served as the jury for the American Cinematographer Award for Cinematography at Salem Film Fest. Below is his statement regarding this year’s nominees and the winner. All of this year’s documentary contenders for Best Cinematography offer compelling visual interest and reflect excellent work by the projects’ directors of photography and additional camerapeople. Each of the entries is well-shot, with assured lighting, composition, close-ups, camera movement and continuity that enhance the storytelling objectives. Ultimately, the winner may have benefitted the most from the cinematographer’s format choice, which adds additional luster to the imagery. Before announcing the winner, I’d like to comment on some of the qualities I admired in each of the entries. In Death by a Thousand Cuts, cinematographer Juan Carlos Castañeda creates a strong sense of place in a true-life drama about the brutal murder of a Dominican park ranger, which stokes the already tense relationship between residents of the Dominican Republic and Haiti. The camera provides emotionally charged perspectives from the key people involved in the dispute, as well as evocative glimpses of life on both sides of the island. I Am the Blues, shot by John Price, also makes the most of its locations, taking viewers on a tour of Mississippi’s Chitlin Circuit, where aged but still charismatic blues musicians show off their homegrown skills while sharing lively and poignant memories. The film’s landscapes and the close-up portraiture of the musicians’ faces are equally evocative, reflecting hardscrabble lives that produced authentic, hard-earned artistry. Winter at Westbeth, directed and shot by Rohan Spong (with additional cinematography by Duncan Hewitt and Bart Mastronardi), offers a moving, life-affirming visit with the elderly residents of an artists’ community in New York’s West Village. Spong’s observant eye and cinematic aesthetics lend the images a poetic realism; his unconventional style of coverage and creative compositions capture the subjects’ vibrant personalities and effectively convey the inner spark that drives their artistic ambitions. The Happy Film uses a whimsical mixture of techniques — including stick puppetry, high-speed photography and stop motion —while following its protagonist, Austrian designer Stefan Sagmeier, through a three-stage “life experiment” to see if meditation, therapy or drugs can help make him a happier person. 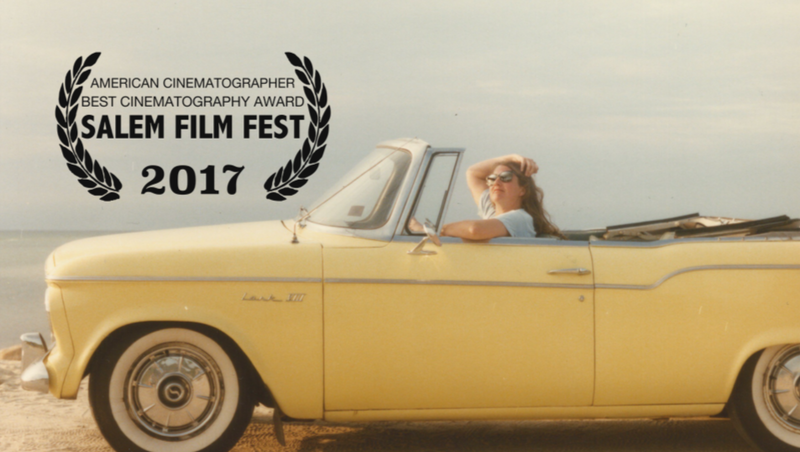 Director of photography Ben Wolf, Sagmeier and additional cinematographers Julia Dengel and Ben Nabors lend the journey a playful but also melancholic tone that makes Sagmeier’s very personal experiences both engaging and entertaining. Ultimately, however, I was most impressed by the cinematography in God Knows Where I Am. Shot by Gerardo Puglia, this haunting doc blends film (16mm, Super 16 and 35mm) with digital formats (captured with the Arri Alexa camera and Canon’s C300) in a way that produces very rich, almost painterly images. Beautiful landscapes blend with shots that roam through an abandoned New Hampshire farmhouse where a mentally ill woman found shelter before tragically starving to death — a downward spiral she faithfully recorded in her diary. These daily reflections on her dire situation are presented in voiceover, but the imagery creates an eerie embodiment of the subject’s lonely final days. Puglia’s atmospheric use of natural light lends interior compositions the quality of still-life canvases that would not look out of place on museum walls, and the visuals place the viewer in the dead woman’s mindset while also approximating her POV. God Knows Where I Am meets the considerable challenge of showing a story driven by an absent protagonist while also encouraging the viewer to feel the pain of her plight; it’s a triumph of visual narrative that engenders enormous empathy, and a very worthy winner of this year’s prize.